Airzone Air Conditioning and Heating offers local AC repair and Heating Services in Lutz, Florida. If you need Lutz, Florida emergency 24/hour a/c repair services or affordable air conditioning maintenance services and solutions, call Airzone today! Affordable, reliable and ready to earn your business, you can count on Airzone Air Conditioning and Heating licensed HVAC Contractors to treat you right. Airzone Air Conditioning and Heating offers comprehensive air conditioning repair service, furnace and heater repair and maintenance and top notch installation services. Click on the links below for detailed information about our HVAC services. If you need commercial or residential a/c repair service in Lutz, FL or if you need air conditioning or heating repair and maintenance or services, your current system our a/c techs are experts in saving you money. 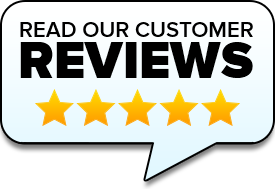 When you need Lutz, FL furnace and heater repair service or if you need a Lutz, FL AC contractor that will ensure a proper installation, call Airzone today. Our technicians are highly trained air conditioning professionals who are committed to energy savings. When you need a new air conditioner or heater, we’ll make sure it’s the best system for your home or business. Every home and business is unique, and we’ll make sure the products we sell you accommodate your needs. Also, keep in mind not all installation services are equal, meaning, if you install a new air conditioner or heater improperly, you will not get the most of your new air conditioner or heater. 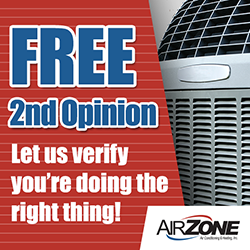 If you need affordable Lutz Air Conditioning Repair Services call Airzone! Take a look at our HVAC special offers for residential air conditioning repair services in Lutz, Florida. Save money on maintaining your air conditioner and furnace by asking about our military and senior discounts for AC repair and installation services.